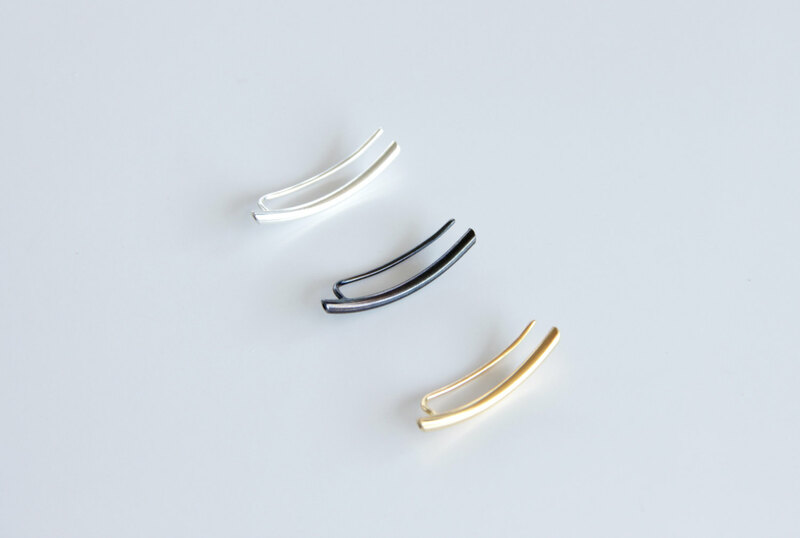 - A piece of 2mm sterling silver round tube, hand forged and formed to a curve that compliments the earlobe, dipped in black platinum plating. 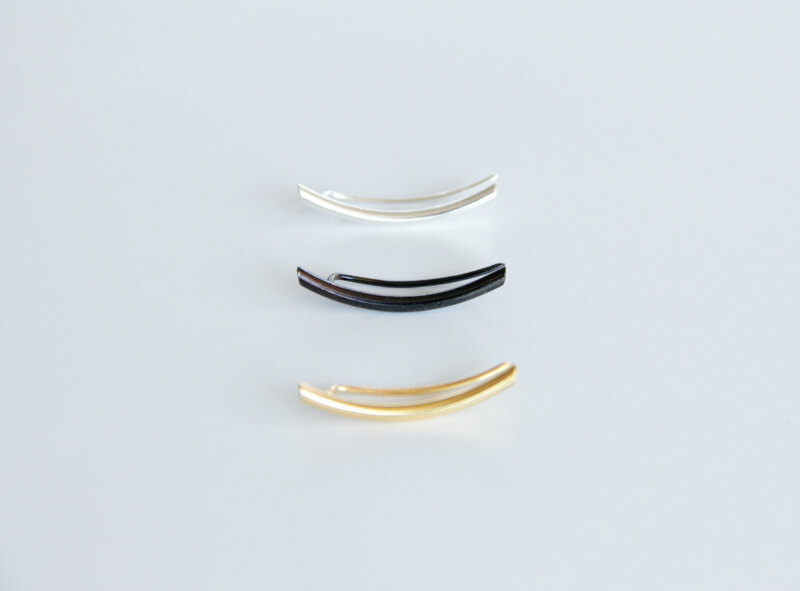 - The curved bar ear climbers are lightweight and they rest comfortably on the earlobe, supported by a 0.8mm sterling silver wire that is soldered at the back. 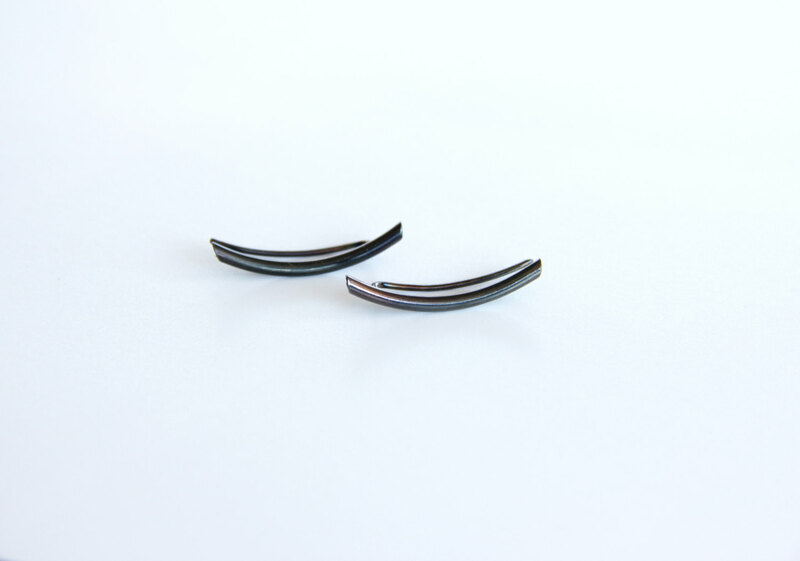 These earrings are for pierced ears.